UPDATE: We have emailed all competitors who did not get off the waitlist in time and refunded their payment. If you don't see your name on the competitor list at this point, you will not compete at NYC Winter 2018. Please stay tuned to the WCA website for more tri-state area competition announcements. If you paid but don't see your name on the registration list within 48 hours of payment (assuming 100 competitors aren't on the competitor list already), please email the organizers. Despite the use of the Stripe payment system, organizers still have to manually move competitors to the approved competitor list following payment. YOU MUST REGISTER AND PAY ONLINE BEFORE THE 100 COMPETITOR LIMIT IS REACHED IF YOU WISH TO COMPETE. WE CANNOT GIVE ANY EXCEPTIONS TO THIS. REFUNDS WILL BE GIVEN UP TO 1/6/18. EMAIL THE ORGANIZERS TO REQUEST A REFUND WITHIN THAT PERIOD. WE WILL BE KEEPING A WAITLIST FOR THIS COMPETITION. ONCE THE 100TH COMPETITOR HAS PAID, WE WILL NOT CLOSE REGISTRATION UNTIL WE HAVE A WAITLIST OF 25 COMPETITORS (NOT INCLUDING THE 100 WHO WILL BE/ARE LISTED ON THE COMPETITORS TAB). TO SECURE A PLACE ON THE WAITLIST ONCE 100 COMPETITORS HAVE PAID, SIMPLY PAY THE REGISTRATION FEE. IF A COMPETITOR EMAILS US TO DROP OUT, YOU WILL BE NOTIFIED IF YOU ARE THE NEXT COMPETITOR ON THE WAITLIST. IF YOU SEE THAT YOU CANNOT PAY TO BE ON THE WAITLIST (REGISTRATION WILL HAVE CLOSED), IT MEANS WE HAVE REACHED THE WAITLIST THRESHOLD (25) AND HAVE THEREFORE CLOSED REGISTRATION. A: Nope! All cometitors compete in the same age group. As was the case at New York City Winter 2017, we will be using a Telegram channel to make group announcements at this competition. IT IS VERY DIFFICULT TO HEAR VERBAL ANNOUNCEMENTS AT THIS VENUE, AND WE URGE YOU TO DOWNLOAD THE (FREE) APP AND JOIN THE CHANNEL (LINKED BELOW) WHERE WE PLAN TO MAKE ALL GROUP ANNOUNCEMENTS. You will find a link to join the channel below, so please join in order to know when you will compete. We will still make verbal announcements, however this venue has notoriously poor accoustics, and there is little we can do to combat that other than offer this form of non-verbal announcements to compliment our verbal ones. PLEASE KNOW YOUR GROUPS. WE WILL NOT BE CALLING INDIVIDUAL NAMES OR ALPHABETICAL NAME COLLECTIONS. WE WILL ONLY BE CALLING GROUP NUMBERS. THE LETTER WILL REFER TO THE DROPOFF TABLE ON WHICH YOU WILL FIND YOUR SCORECARD FOR MOST EVENTS. 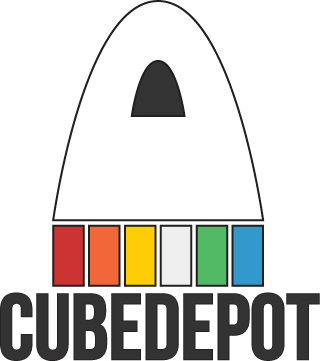 CubeDepotUSA is the sponsor for New York City Winter 2018. They will be vending and providing prizes for winners.